Welcome to Hector, the last content update for Albion Online’s beta before we officially release on July 17, 2017! This update packs quite a punch! 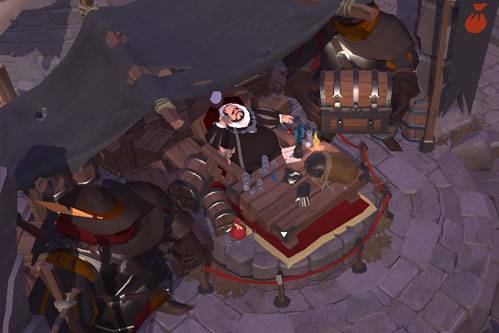 Not only does it bring important changes to the Hellgates and Outlands, it also introduces the anticipated Black Market which combines PvE drops with the player-driven economy and crafting of Albion Online. On top of that, Hector also includes new mounts, a tutorial and much more. Hector is the launch-version of the game. This means that between now and launch we will focus on fixing bugs and ironing out kinks to make sure Albion Online is ready to be released in July! Find the full changelog of Hector here! 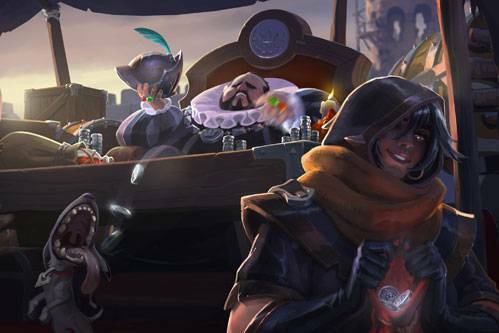 The Black Market merchant is a new NPC in Caerleon, the center city of the royal continent. He buys items from crafters and redistributes them to the mobs and chests of Albion, who then drop the items to players. The Black Market is not like a typical NPC merchant. He does not have an infinite demand for items, but instead demand is created depending on how many mobs are killed in the world. This new feature ensures cool drops in PvE while not taking away from the player-driven economy. Find out all about the Black Market here. 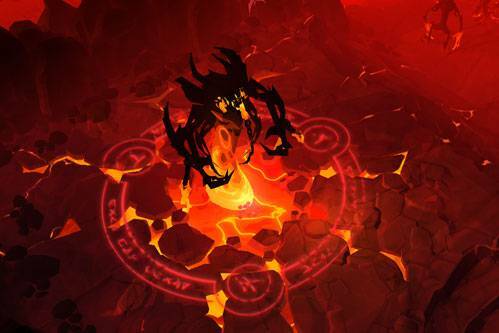 Hellgates offer the perfect mix between PvE and PvP in Albion Online and are an intrinsic part of the game, which is why we are giving them a much-needed facelift and new mechanics! Most noticeable is the new Hellgate map, which is now shaped like a pentagram and has multiple entrances. Minibosses can be found in each corner, giving a buff and triggering the main boss when defeated. 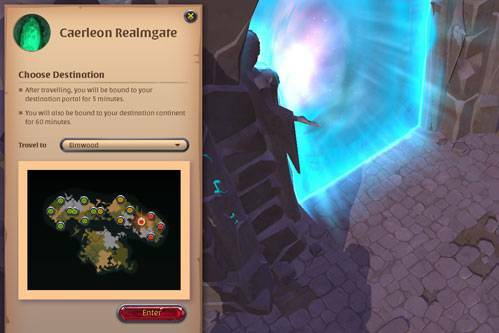 Lastly, different difficulties for Hellgates are being introduced: Ashen Hellgates (green zones), Ignited Hellgates (yellow zones), and Infernal Hellgates (red and black zones). Learn more about the new Hellgate mechanics, map and difficulties here. With the Galahad update, we introduced major changes to the Outlands. In general, we are quite happy with those changes, however there are still some minor things that are not where we want them to be. This is why we are pushing out some further improvements. First of all, we will remove the current cities in the black zones, as well as the harbors. Instead, there will be a portal in Caerleon linking to the different parts of the Outlands. There will be several rules linked to this portal in order to prevent abuse. Resource distribution is being adjusted. All parts of the Outlands will have the same amount of resources, but the higher areas will get higher enchantment rates. Overall, the black zones will have a higher amount of enchanted resources than the royal continent. Watchtower territories in the Outlands are being boosted in order to make them more attractive. First of all, resources within the territory will now respawn at the beginning of its primetime. For example: A territory with its first PvP timeslot at 20:00 UTC will have all its resources respawned at 20:00 UTC as well. Secondly, watchtower territories will be the only place in the world where you can find Tier 8 resources. This means that in order to get your hands on Tier 8 materials, you either need to be in control of a watchtower or raid another guild’s watchtower at the time of respawning. Click here to watch the Development Recap video with all further details on the Outlands improvements! Several new mounts are being added into the game! First of all, we are introducing faction mounts for the Undead, Morgana and Keeper faction. They will each drop crafting material for a Tier 5 and Tier 8 mount, with the Tier 8 material only being dropped by the major raid bosses. The Tier 8 faction mounts are the only mounts in game with their own skills! Aside from that, Giant Stags (Tier 4) and Ancient Mammoths (Tier 8) have a rare chance of dropping respectively a Fawn or Mammoth Calf, which can be raised and trained into a Giant Stag and Transport Mammoth mount. Discover the new mounts here! 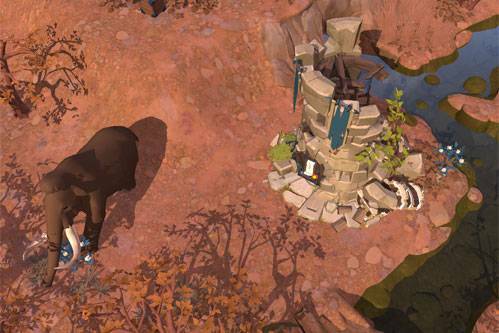 In order to bring more variety and open world gameplay to Albion Online, a majority of the solo dungeons will now be accompanied by a medium-sized mobcamp. Several of these mobcamps are completely new! On top of that, maps with a group dungeon have been replaced by new maps. These new maps are designed around a very large mob camp which feature a dungeon in its center. For the Morgana and Undead faction, these dungeons will consist of two different levels and are our first multi-layered dungeons. 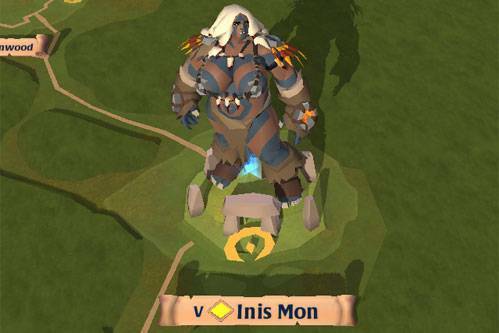 Lastly, the Caerfyddin map is being replaced by Inis Mon, which is the Keeper's homebase. This means the Earthmother is back in Albion! We continue the User Interface design revamp, which we first introduced in the Galahad update. The Destiny Board UI has received a facelift to reflect the new UI style, as well as make it more readable and user-friendly in general. You can now personalize the tracker and manually (un-)track the Destiny Board node of your choosing. On top of that, a variety of other UI elements have been updated, such as the health bar display and guild management UI (bringing back the “kick from GvG”-function). 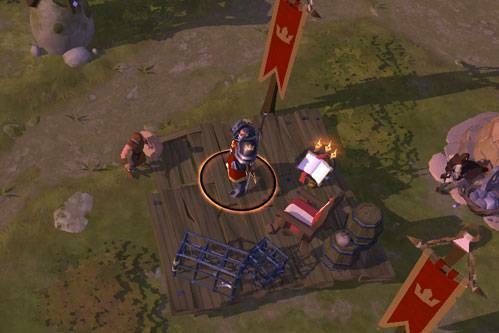 The tutorial has undergone significant changes, vastly improving Albion Online’s new player experience. Aside from the basic introduction on the beginner island, starter towns now feature Royal Expeditionary Forces that give beginning players a basic mission line to follow. 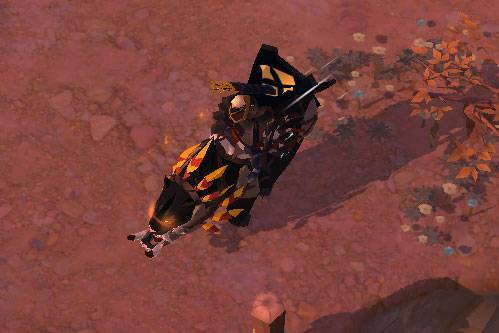 Completing all missions will not only reward you with knowledge, but also a very basic Tier 2 cape and mount. 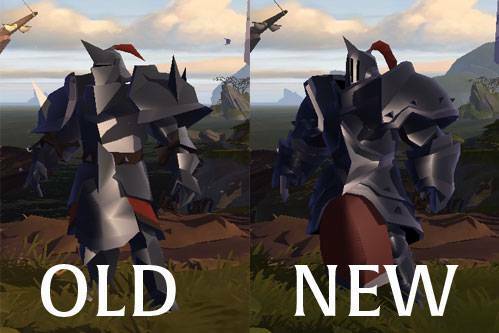 The different armor sets of Albion Online are getting a visual make-over. These changes are relatively small and mainly aimed to improve the readability of armor. 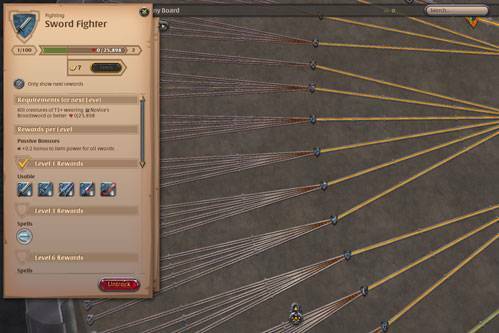 The progression from the lightest cloth to heaviest plate equipment is now far more apparent, making it easier for players to recognize their opponent’s gear at first glance. On top for that, we have also taken this opportunity to improve the quality of the armor’s visuals, making them more modern, sleek and fitting for a game in 2017. That is not all this update has in store for you, there will also be a plethora of smaller changes, improvements and bug fixes. Essences are no longer needed to refine materials. The world map has undergone several improvements. Detailed information can be found in the Hector changelog.